Sundays are truly one of my favourite days of the week. We make it a priority to get out and enjoy the morning and early afternoon on Sundays, then the afternoon is usually meal prep for the rest of the week. Baking, preparing, chopping, whatever is necessary to make the rest of the week easy because I'm all too familiar with coming home at the end of the work day and being completely unproductive. It's almost like the couch has glue on it...once you sit there's no getting up until bed time. Anyway, this Sunday I found myself in the kitchen for the greater portion of the afternoon making stromboli (yesss! 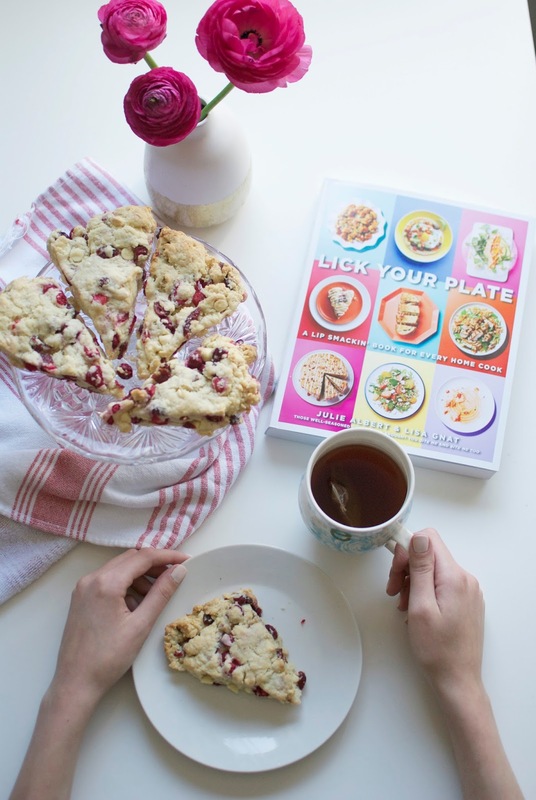 ), granola bars, and Double Cranberry and White Chocolate Scones from Lick Your Plate! I love scones - they are the perfect mix between a muffin and a cookie. Not too finicky, few ingredients, and always the perfect accompaniment to a cup of tea! 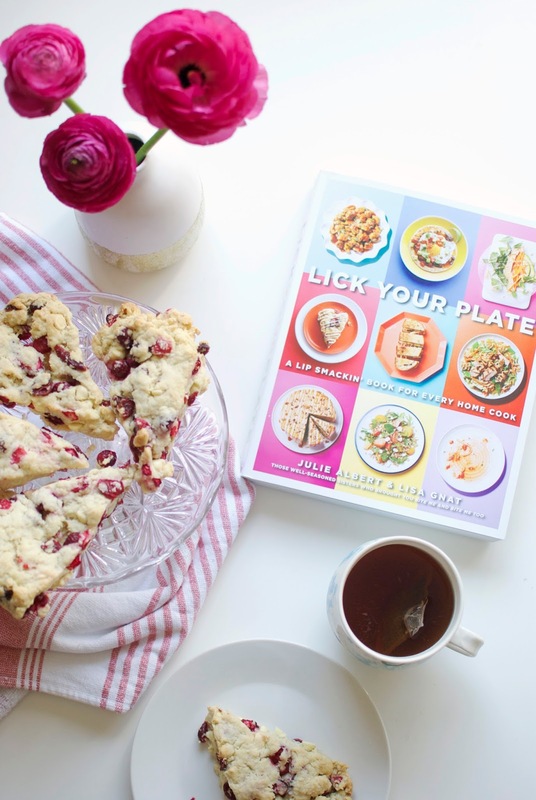 I'm happy to share that I'm giving away a copy of Lick Your Plate so you can make these scones (and way more!) for yourself! I'm a sucker for a good cookbook and Lick Your Plate is nothing short of that. Wait until you see the pictures inside - they are just as colourful as the cover shows! Head on over to my Instagram to see how to win! The contest runs until Sunday, May 1st and is open to residents of Canada and the USA. In the meantime, I'll be stuffing my face with scones and working on some great content to share here. The warm weather and sunshine really does do some good for my mental health, so I hope to share more of that here soon!